After finding out about the location of Paradise Island from [Wonder Girl](/clip/view/wonder-girl-1), Captain Radl leads a team of Nazi soldiers to the island. The Nazi's encounter Amazon women walking around. A couple soldiers decide to approach the Amazons, but the women treat it as a joke. They are able to beat the soldiers with relative ease. Seeing this, Captain Radl decides to bring out the sleeping gas bombs. He lobs the gas bombs at the women and it knocks them out instantly. **Wonder Woman** herself appears and a gas bomb is thrown at her feet. It knocks her out instantly. 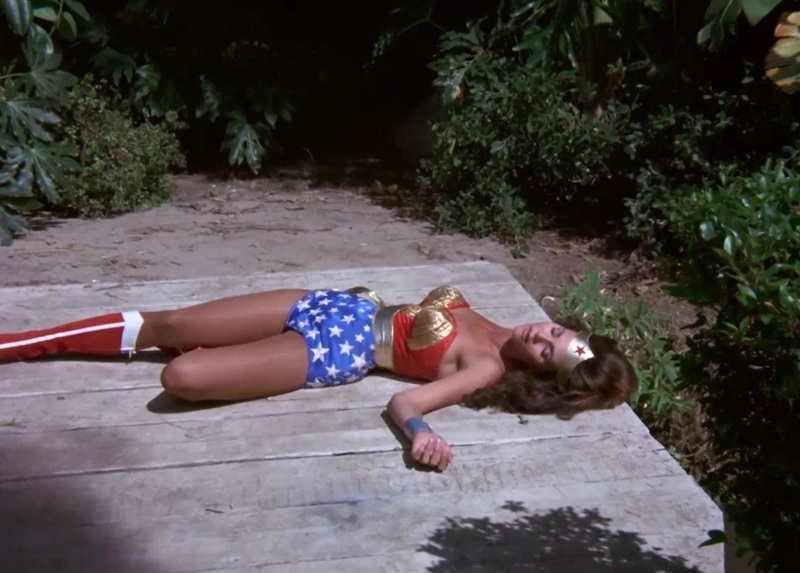 We get a nice sleepy shot of Wonder Woman as she lays unconscious.